Last updated: July 2017. Stiffness, tightness, sharp pain in your lower back. These are depressing symptoms to deal with daily. It seems like you are doomed to a life time of medication at best, and endless chiropractor sessions or surgery at worst. You may be surprised to find that there are a few highly effective natural methods to recover from lumbar disc degeneration – quicker than you ever imagined. In this post you’ll discover what they are, why you should try them and exactly how to use them at home, by yourself. 2 What Causes Lumbar DDD? 3.7 Can Spinal Disc Disease Be Reversed? The doctors call it “lumbar disc degeneration disease“, but it’s actually not a disease – in the traditional sense of the word. If it was, every one of us would be diagnosed with degenerative discs at some point. Because just like other parts of our body, our spinal discs deteriorate over time. By the time we reach “old” age they are damaged enough to fall under the degenerative disc disease (DDD) category. There are more than a few natural treatments for disc degeneration. Just stick with me, and you’ll get all the “inside information” about the remarkable natural options you have – right now. Your spinal discs absorb shock to the spine. Just like in your car, they reduce the effect of “traveling over rough ground” to prevent injury or trauma when we do everyday movements like twisting, flexing and bending. 1. Loss of fluids in the discs – which makes them less flexible and thus less effective shock absorbers. They become thinner and the space between your vertebrae is reduced. 2. Cracks and tears in the outer layers of the spinal discs – the gel-like material inside the nucleus of the disc leaks out, which leads to bulging discs, ruptured discs and fragmented discs. Visualize your spine as a chain where it is just as strong as the weakest link. Unfortunately, within the spine, the weakest link also often absorbs much of your weight, because of misalignment of the vertebrae. This puts increased force on the soft-jelled discs areas which causes them to wear down over time. But, at least lumbar disc disease symptoms tend to flare up periodically, and do not get worse over time, right? The remarkable benefit of natural treatments is that they are capable of dramatically relieving your pain (without drugs), while at the same time promoting recovery, healing, preventing and even reversing degenerative discs. Exercising the right way is essential to relieving pain and recovering from DDD. Your exercise program should include Hamstring stretching, dynamic lumbar stabilization exercises and low impact aerobic conditioning (walking and swimming are best). Lower back traction (also known as spinal decompression) can quickly relieve your back pain through increasing the space between the vertebrae. Lower back traction basically pulls the top half of your body and the bottom half – away from each other. 1. Almost immediate pain relief by taking the load off your spinal discs. 2. Boosting blood circulation to your lower back, brining healing nutrients – faster and better. This takes care of the inflammation. 3. Relaxing of your aching muscles in the lower back. As long as you won’t attempt to hang upside down on a tree branch or using Hippocrates ladder and ropes method, you can, safely, relieve your low back pain with home back traction. Therapeutic low back massage can provide low back pain relief by improving blood flow, reducing muscle stiffness, increasing range of motion, and raising endorphin levels in your body. Plus, when you suffer from back pain, it can wreak havoc on your sleep, which in return increases recovery time because your body doesn’t get the rest it needs. A good massage before bed will take away your pain, your anxiety and promote a long, deep and healing sleep. Again, there are cost-effective ways to get a regular back massage at home. My favorite method is a back massage chair, like this one. I don’t think I’m exaggerating when I say that an infrared heating pad is the best drug-free pain relieving tool ever made. Forget about the EMF-radiating-skin-burning electric heating pad you have at home. Infrared therapy is a revolutionary and proven natural pain relief method, which is completely safe and is far superior to plain heating. Infrared rays (invisible to the naked eye) penetrate deep into your tissues, all the way to your spine and nerves. They boosts your blood circulation and heal inflammation while you enjoy the pleasant and relaxing heat, which won’t burn your skin and warm you up all the way to your spinal discs. Plus, it gets you the blood boosting benefit I’ve mentioned several times earlier. 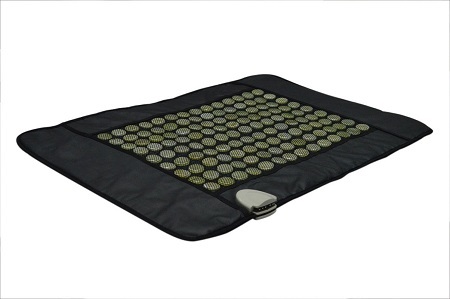 Check out my review for the top infrared heating pads in the market – HERE. Lower back braces can sometimes help reduce acute low back pain from degenerative disc disease by limiting motion of the spine. But I would caution against long-term use of a back brace, as it can lead to weakening of the muscles. Short term bracing, or bracing with certain activities, may be a reasonable option for some people. As you know, lumbar disc degeneration causes inflammation (the reason for your pain). As always, a balanced and healthy nutrition will help your body reduce inflammation and can lower your weight, which will take some load off your spine. Ginger, turmeric, garlic, Cayenne pepper, dark leafy greens, pineapple, Papaya, Devil’s claw, Boswelia, Chamomile. Try to eliminate, as much as you can, dairy and meat and avoid processed sugar and flour. Fried foods are not a good idea either. As for supplements, I recommend trying Heal n’ Soothe, which contain proteolytic enzymes, Boswelia, Devil’s Claw, Turmeric, Ginger, citrus bioflavanoids, Papain, L-glutathione and more (see the complete ingredient list and why I recommend it HERE). And, the best part is that you can try it before you buy it. Can Spinal Disc Disease Be Reversed? Just because DDD includes the word “degenerative” in it, doesn’t mean that your symptoms will get worse. While it’s true that disc degeneration may progress over time, the pain you are experiencing can be dramtically reduced and even eliminated, especially if you help your body using the natural methods listed here. You can not really reverse DDD but you can make lifestyle changes that can protect your spine and to keep it from getting a lot worse. 1. If your work requires sitting for long periods of time, consider switching your office chair to a balance ball chair. 2. Learn how to fix your posture, which is incredibly important for managing lower back pain. 3. 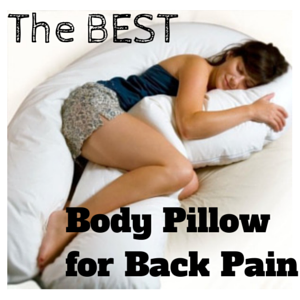 Modify your sleep position to avoid pressure on your spine when you sleep. A good body pillow can turn around your sleeping experience forever. Recovering from degenerative disc disease in the lower back requires combining a few natural and remarkable effective natural treatments. In this post you’ve learned about home back traction, DDD exercises, infrared heat, anti inflammation food and supplements, back braces and self massage tools. It may take some dedication and time, but it won’t cost your life savings and you won’t depend on lifetime pain killers and possible surgery. Natural treatments for low back degenerative discs can be fabulously effective, all you need is to get up and give them a try. What do you think your first step towards recovery would be? Share your thoughts and questions in the comments below. Excellent information , concluding all angles. Hi, at the risk of sounding as though I’m not open to these techniques (quite the contrary), it would be great to see the evidence that backs each of them up. Are you able to provide? Sources are enough – I’m happy to do my own research and reading – but if you want to include papers, that’s grand! 🙂 Many thanks.